Living in Katy, you should know how badly how weather can get as well as the chances for flooding. Gulf Coast areas are subjected to the vulnerability of flooding very often. 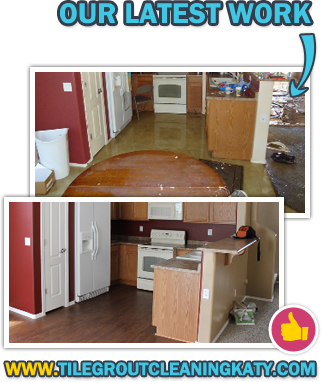 Water damage is very serious and can threaten to uproot families from their homes. Tile and Grout Cleaning of Katy are experts with flood restoration. We provide fast and speedy commercial and residential water damage restoration. Damages caused by water only increase with time and the longer you let water sit. These types of situations require immediate attention. Because Texas is mostly flatland, residents in our communities should have Tile and Grout Cleaning of Katy on call at all times. It is not uncommon for plumbing issues to be the reason that you give one of our friendly operators a call. Water damage repairs are what we specialize in. We are going to be there for any water leak cleanup that you are experiencing. Do you have a leaking pipe, water heater, dishwasher, toilet, or sink? Give us a call immediately. Our skilled technicians have all of the correct tools and equipment needed to save the day because it is imperative to know and understand that an entire home can be ruined with only a few hours of water. This is why Tile and Grout Cleaning of Katy is there for you 24 hours a day and seven days per week to assist you with any and all of you water damage, leaks, or drip needs. Our friendly representatives are here to assist you. Give us a call now.